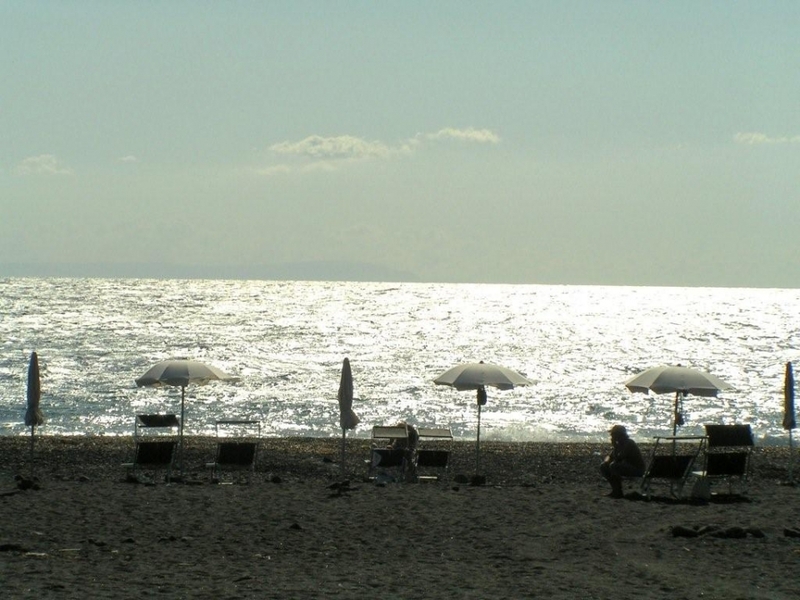 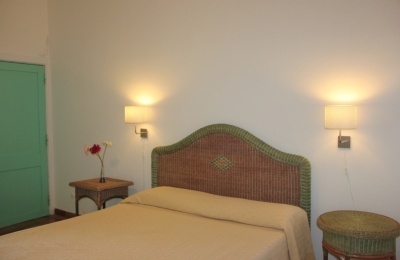 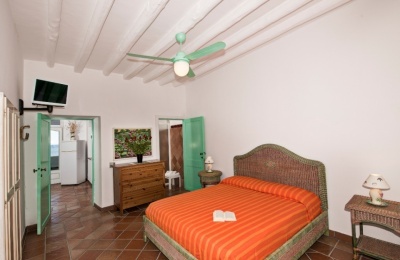 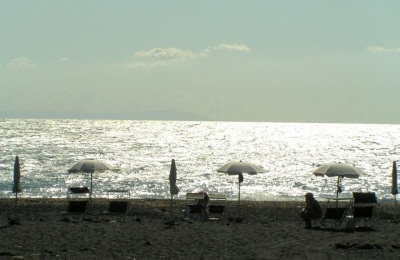 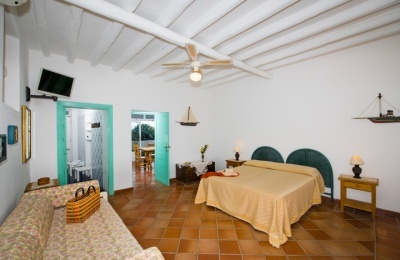 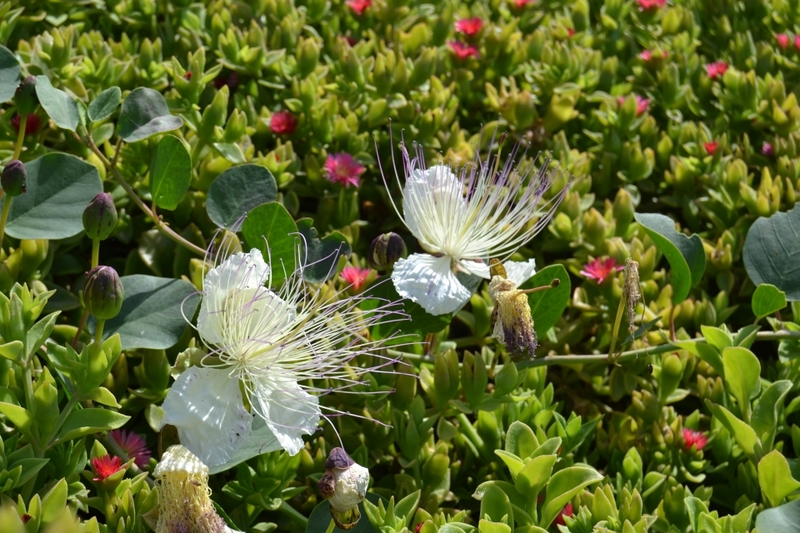 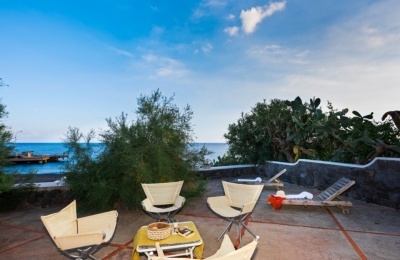 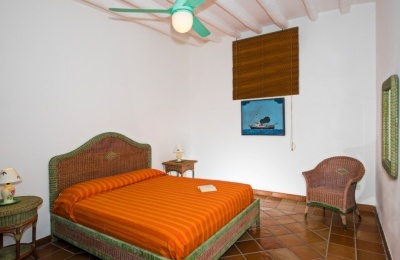 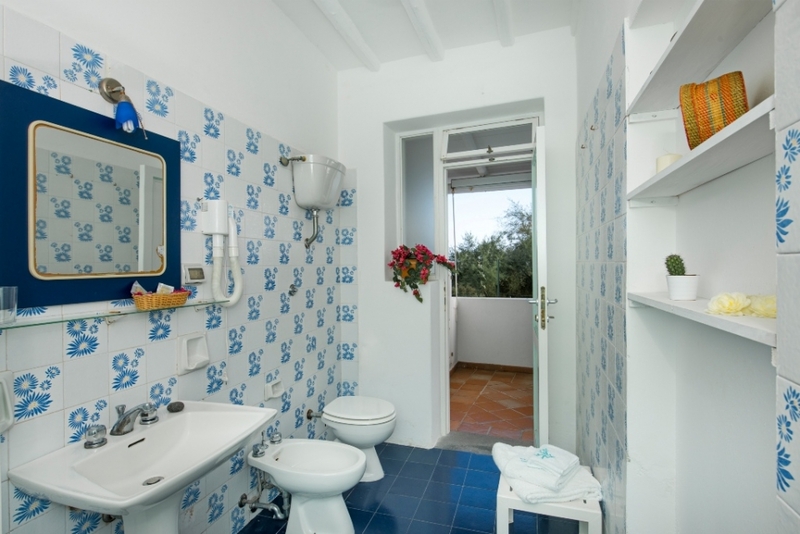 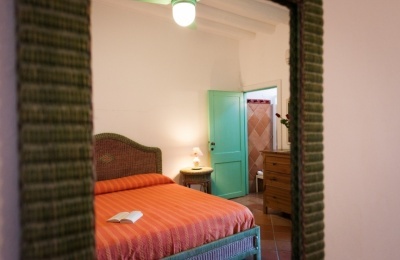 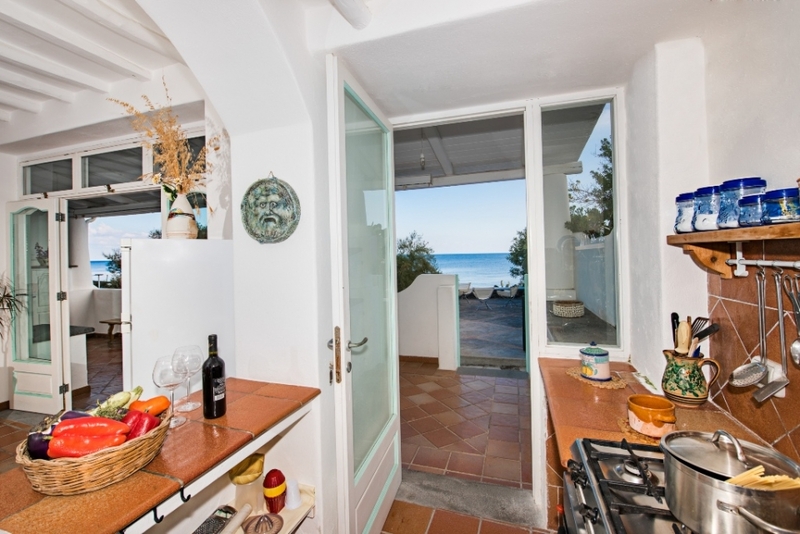 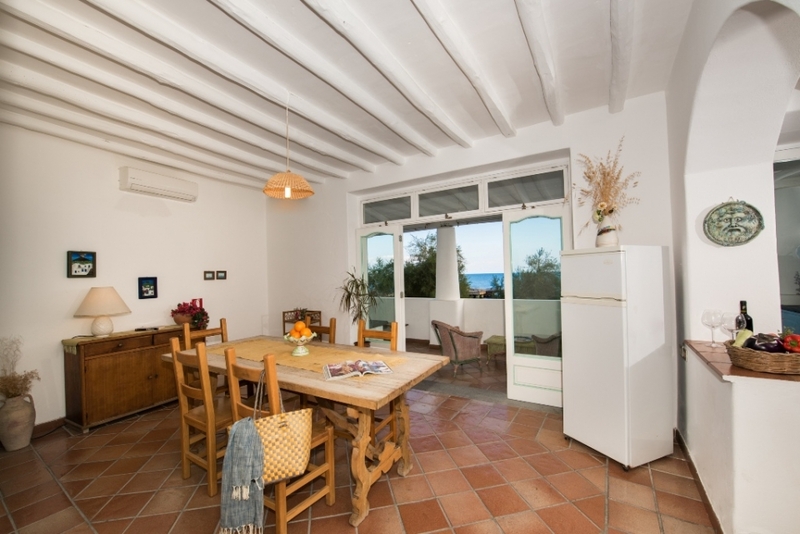 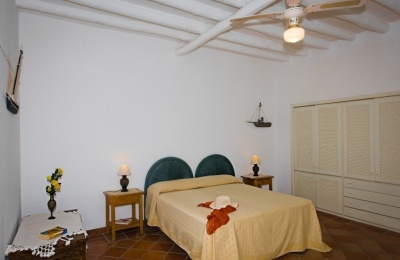 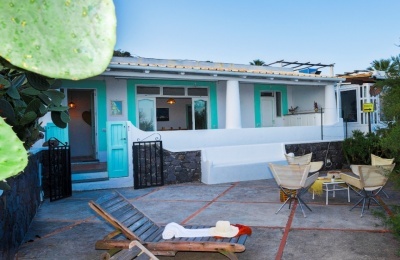 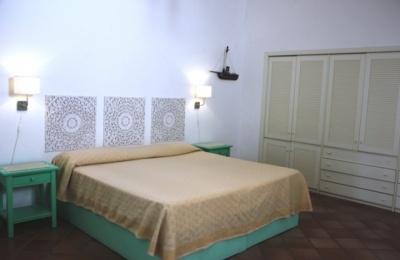 Dependance "Mareblu House"is a nice house, situate close to the black beach of Stromboli. 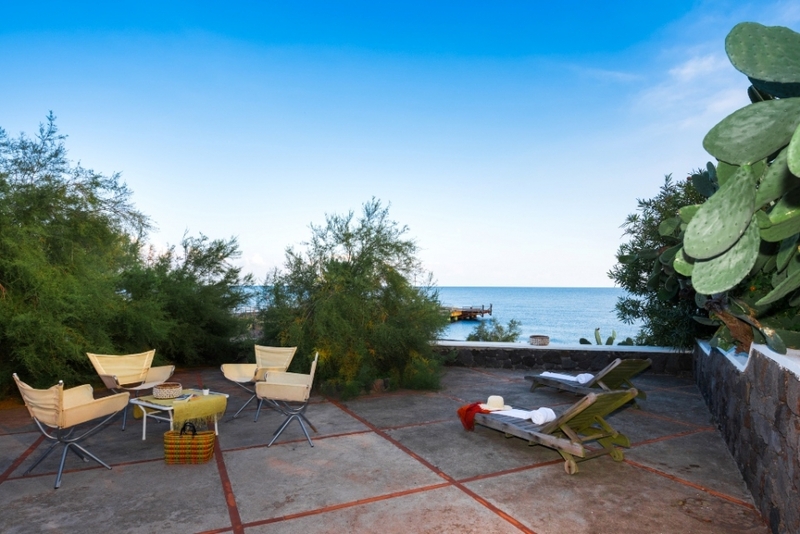 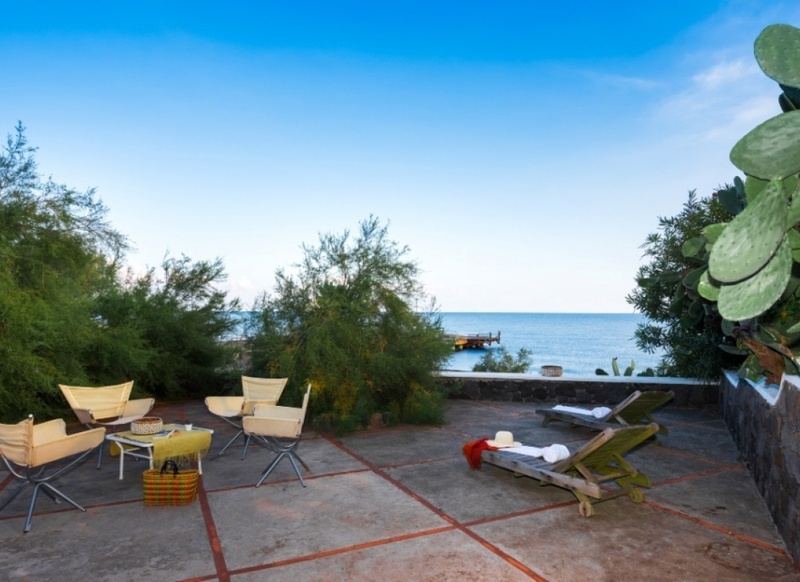 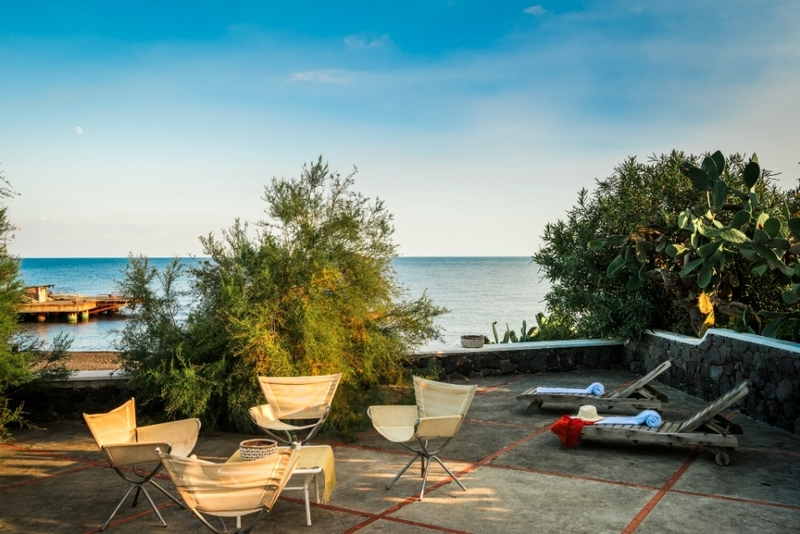 Villa Mareblu, is located in the center of Stromboli, facing the cobalt blue sea. 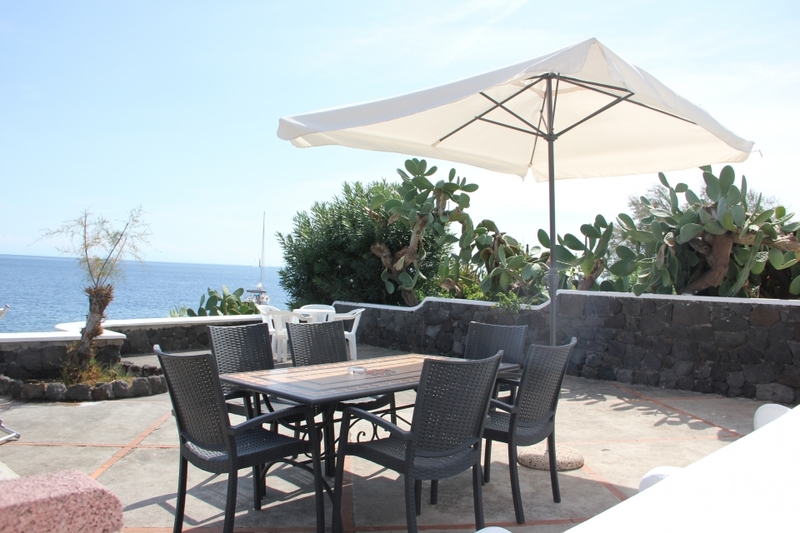 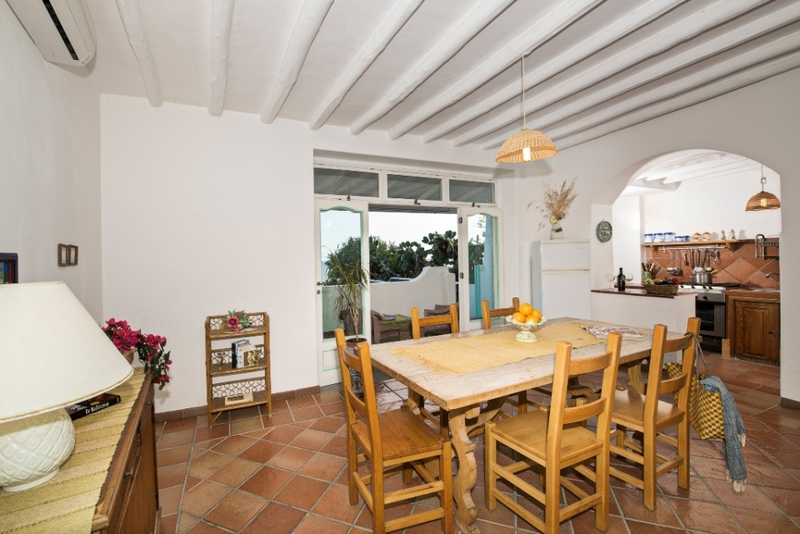 It enjoys a great location just 3 meters from the beach of Scari and the marina. 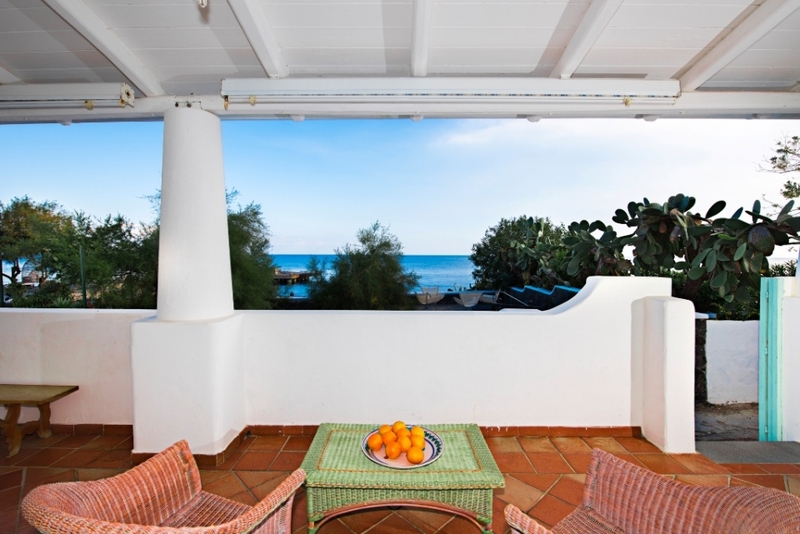 The structure, in typical Aeolian style, has a bright terrace with patio with open-air lounge and a spacious sun terrace with panoramic views. Ideal for families, Villa Mareblu is equipped with all comforts (air conditioning, LED TV, free Wi-Fi, mini bar, barbecue and washing machine) and can accommodate from 4 to 6 people. 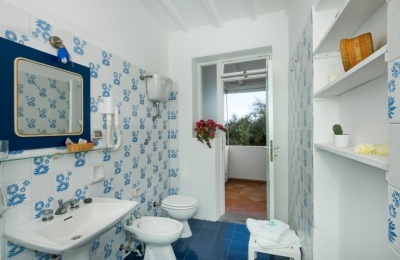 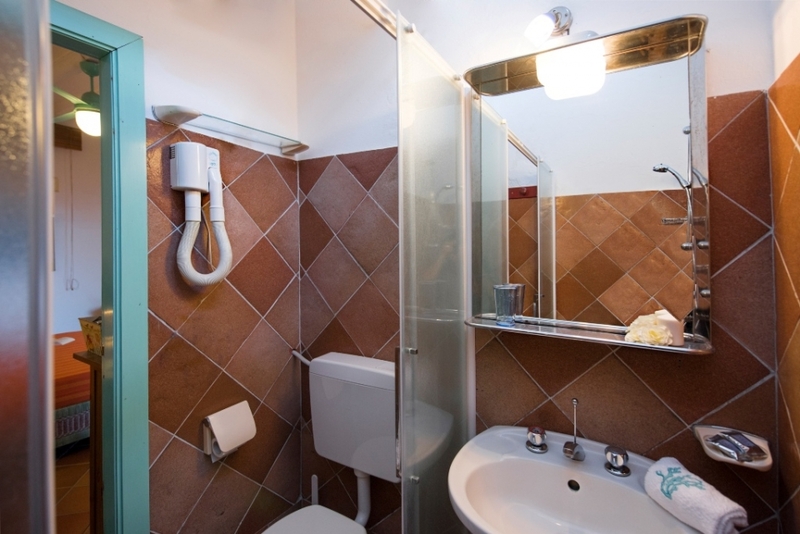 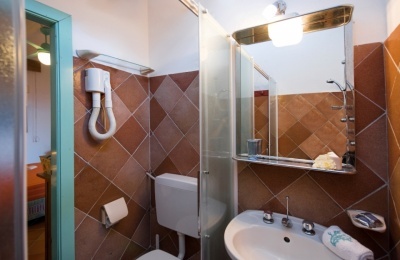 The rooms with simple design in marine style are equipped with a private bathroom with shower, hairdryer, courtesy kit, air conditioning. 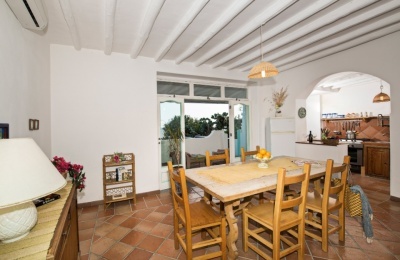 The dining room features a bright, practical and functional American kitchen. 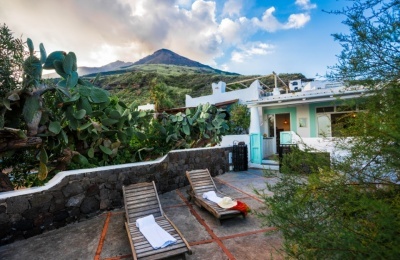 Villa Mareblu is located near the typical restaurants, pizzerias, grocery stores, boutiques, the volcanological museum and starting points for organizing boat trips or trekking excursions on the volcano. 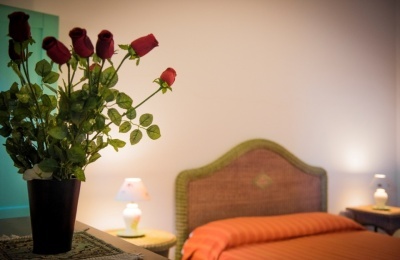 Its privileged position will make your stay unforgettable. 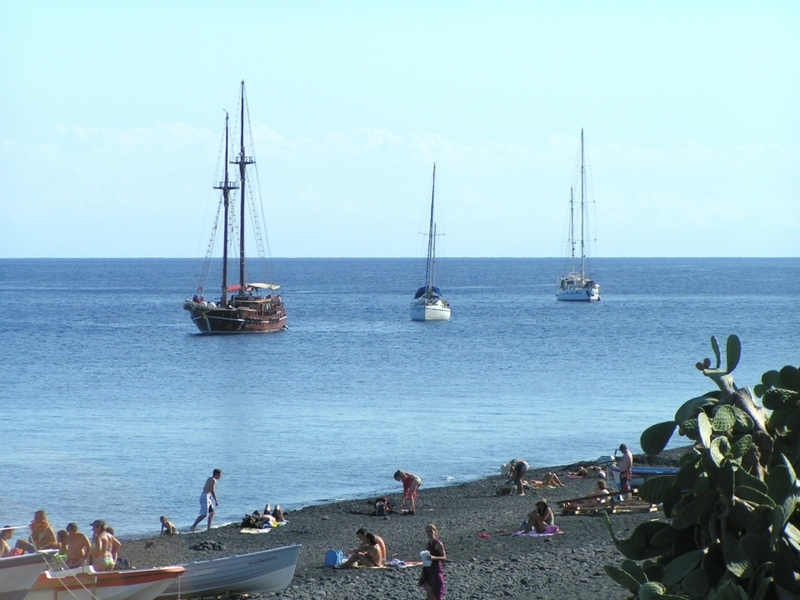 The spectacular explosions, the crystalline sea, the black sand of lava stone characterize this dry and wild land. 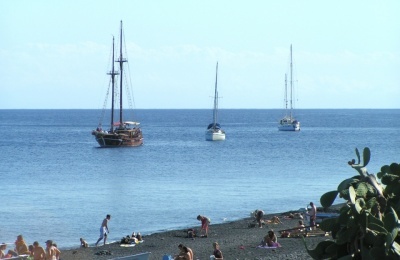 Long pristine beaches distinguished by bushes of prickly pears and fragrant broom evoke a sense of freedom. The magic of Stromboli will soon make you dream!